Students search the page for everything that begins with the key letter. The picture is repeated on the reverse side of each puzzle, labelled with the solution. 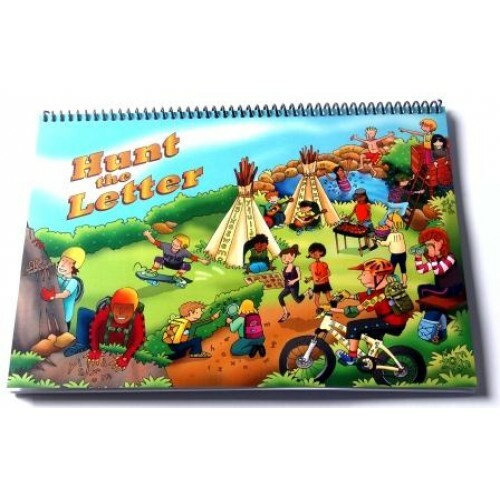 Unlike most resources available for this basic level, the cartoon style and puzzle approach of Hunt the Letter ensure that it will absorb students of all ages who still need to work on initial sound recognition.